The strong and growing interest of customers in Visitech’s high-end LUXBEAM light engine and formatter platforms and the availability of Texas Instruments’ new and powerful DLP9000X WQXGA DMD enables Visitech to expand the product line by another top-notch platform line. The product line introduces the top-line LUXBEAM LB9500 formatter electronics, comprising a DMD with 4 million micromirrors, running at up to 15 kHz frame rate (binary) and allow up to 61 Gbits continuous streaming input data. The compact footprint and the flex-rigid flex cable interface allows flexible configuration into advanced products. Following customer demands for enhanced optical power output in visible and deep-blue/UV spectrum, Visitech will also introduce a LRS-WQX reference light engine configuration comprising a dual-LED light source until the end of 2017. 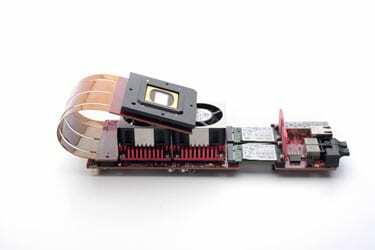 Depending on LED combination up to a whopping 7 W of optical power will be delivered into the image plane, for example enabling enhanced performance and throughput rates in 3D Print additive manufacturing machines. Combined with the expanding line of Visitech’s LRS projection lenses, this will also enable the introduction of scrolling operation leading to larger build areas.